Sri Aishwaryam Annex in Ragavendra Nagar, Pondicherry by Sri Vedhaa Creations is a residential project. 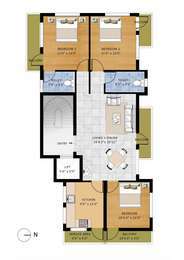 The Apartment are of the following configurations: 3 BHK. The size of the Apartment is 1420 sq.ft..
Price starting from Rs. 60.35 Lacs. Sri Aishwaryam Annex offers facilities such as Lift.It also offers Car parking. Sri Aishwaryam Annex has a total of 1 towers. The construction is of 4 floors. 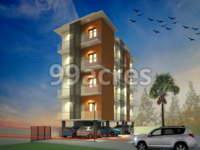 You can find Sri Aishwaryam Annex price list on 99acres.com. Pondicherry has a number of infrastructure developments taking place and hence the real estate market is on an upswing. The presence of various commercial industries in the city is the sole reason of generating a number of jobs and attracting workforce. This has a good impact on the realty market. The residential real estate of the city has a mix of luxury, mid-segment and affordable housing units. Talking about the commercial real estate of the city, it witnesses positivity in this segment also catering to demands generated here. In all, the market is positive and expected to grow positively in the coming time. In which area is Sri Aishwaryam Annex located?The project is situated in Ragavendra Nagar, Pondicherry. What are sizes of apartments in Sri Aishwaryam Annex? The apartments size in the project is 1420.0 sqft. What is total area of 3 bhk in Sri Aishwaryam Annex? 3 BHK units in the project are available in a size of 1420.0 sqft. What is total price of 3 bhk in Sri Aishwaryam Annex? 3 BHK units in the project are priced at Rs. 6035000. What is the price of apartments in Sri Aishwaryam Annex? The units available in the project are priced at Rs. 6035000. What is tentative possession date of Sri Aishwaryam Annex?The project is expected to be delivered by Oct 2019.